Eric Sykes, of Palmyra, clears snow from his sidewalk Thursday morning after a storm covered the town in snow earlier in the week. 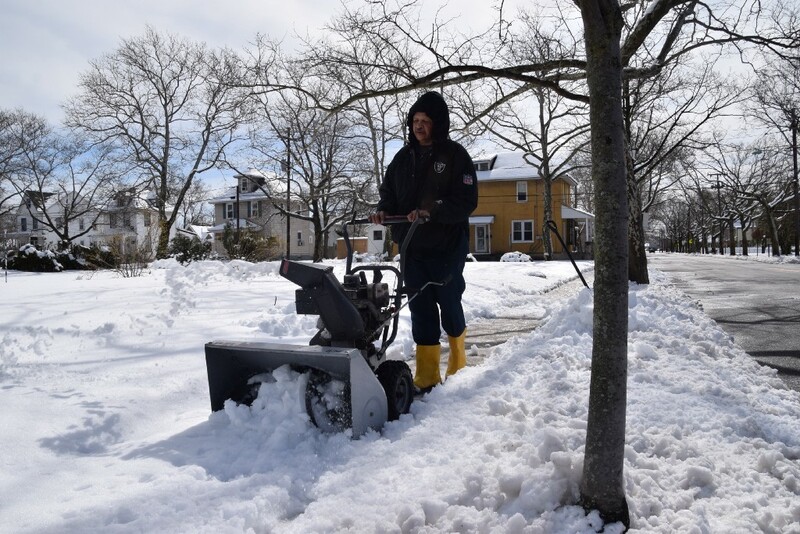 The first few days of spring were marked by a storm that dumped inches of snow in the area. In other news, the boys tennis team at Palmyra High School has high expectations for upcoming season and borough’s school district is again offering a preschool program for residents. Confidence is running high this preseason for Palmyra High School boys tennis. The Panthers enter the 2018 season with a very experienced and hungry starting lineup. Palmyra returns its entire lineup from 2017 and hopes its blend of experience and athleticism takes the team to new heights this year. Palmyra’s annual Easter Egg Hunt has been moved back from Saturday, March 24 to Saturday, March 31 at 10 a.m. The event, which will be held at Legion Field, is sponsored by the Borough of Palmyra and F.C. Kerbeck. Bring a camera, because the Easter Bunny will be ready for selfies. Local and county officials braced for a winter storm that struck Palmyra and the surrounding area Tuesday and Wednesday. School was canceled on Wednesday and delayed on Tuesday, and the borough enforced parking restrictions. The Palmyra School District will again be offering a tuition-based preschool program for the 2018–2019 school year. There will be two-half day preschool integrated classes for four-year olds.